Some pacemakers are accessible wirelessly for reprogramming, but the trouble is that this easy access could be abused maliciously. Sure, passwords would keep the devices safer from such intrusions, but the patient could forget or lose those. Solution? Password tattoos. 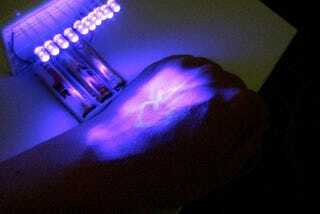 By tattooing passwords onto patients with ink that can only be seen under a UV light, doctors would have an easily accessible password in case of an emergency and patients would have an additional layer of security protecting their medical gadgets.